This just in from Adobe: "Just to alert you, NVIDIA is starting to discontinue CUDA support for some older GPUs in their new driver releases. If you are still using one of these older cards, and need GPU support for Adobe applications, do not update your drivers while you look into a purchasing a new card. If you need to reinstall NVIDIA drivers, see this web page." I've seen a lot of ADT installations using fisheye lenses lately. ADT must be having a sales promotion or something. One of the updates to FIVE in the last year is the Correct Fisheye filter, found in the Edit filter group. In the past, I would use the Undistort filter, but Correct Fisheye works a lot better / easier / faster on these low-end fisheye lenses I've been seeing. In the case of the "full-frame" (180º) fisheye lenses in the ADT installations, I've found that Orthographic works the best. This isn't because ADT has been forthcoming with information about the mapping function of their chosen lenses. It's mainly been through my testing each function. You won't likely get information on the manufacturer's chosen mapping function. 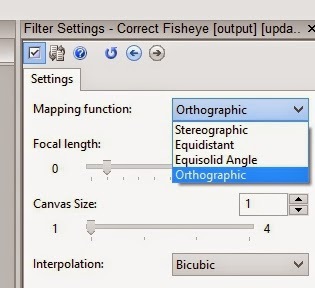 As a side note, for the "circular fisheye" top-down (360º) lenses, use the Unroll filter for better results. Back to the ADT cameras, here's the before/after image (Presentation>Compare Original). On the left is the original image and on the right is the corrected version. Correct Fisheye did a very good job in just two clicks of the mouse. Here's an interesting article from the Washington Post about Forensic Odontology. Check out this quote, "the problem with bite mark analysis was never the lack of a flow chart. The problem is that there has never been any real scientific research to support its two main underlying premises — that human dentition is unique, and that human skin is capable of registering and recording that uniqueness in a useful way. And the research that has been done strongly suggests those two premises are not true." Ouch! 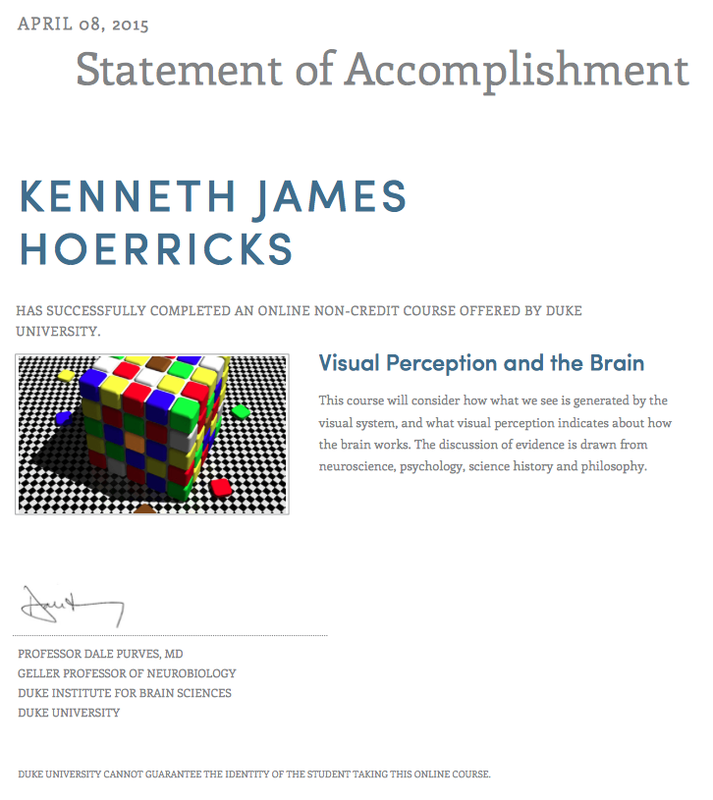 Last week, I finished the Coursera course, Visual Perception and the Brain. This course was taught by Dale Purves, MD, of Duke University and is one of the growing number of on-line non-credit courses offered by leading universities and noted professors around the world. I would recommend that DME analysts put this course on their to-do lists and watch for it to be offered again. There's a lot of good information delivered as part of the class. That being said, if you've never taken an on-line university level course you may have some trouble with the format. You watch the video of each section's lecture. You're free to download and save it locally. You can also download and save the slides and a fairly accurate transcript of the lecture. There's an expectation that you'll dive in a little deeper and study each section's topic on your own prior to taking each section's test. The test questions aren't written directly from the lecture / slides and assume that you've done a bit of extra reading in order to gain a deeper understanding of the week's topic. Coursera has a lot of classes available for free. In this world of shrinking budgets and doing more with less, you can't beat free classes. This just in from LEVA: "The following Job Classification and Wage Study was completed in March of 2015 as part of a position audit. The survey focuses on particular job duties and functions performed by various analysts, technicians, and those who in some way handle digital multimedia evidence. All information contained in this report was volunteered by those who responded to the survey invitation, knowing that they fit the subject matter criteria. It is being shared with the Forensic Digital Multimedia Evidence community due to numerous requests for the information. LEVA thanks those who responded with data for Jordan Huslig of the Grand Junction, CO PD Crime Lab to conduct the research and providing the findings. Nice job Jordan!" Click here to read the result and/or access the raw data. 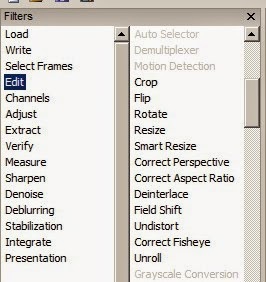 I recently had an .Exe video file that wouldn't capture using any/all available PC tools. I tried Omnivore, FIVE, and a few others. Nothing. Thank God for my trusty old MacBook Pro. Here's an old video tutorial that's still relevant. It demonstrates using Wine / WineBottler to re-bundle the file into something that the Mac will recognize. Wine / WineBottler worked like a charm on my video. Then, I used iShowU to do the screen capture. Sometimes folks can't/won't mess with executable files and require the files to be "converted." Not all of them play nice with our state of the art systems. It's nice to see that the old tricks still work.